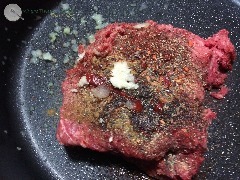 Brown your beef over medium heat. I use a home made taco seasoning. 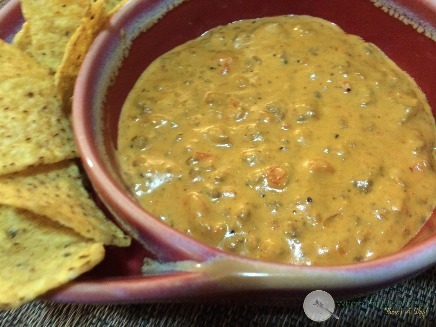 Combine cooked beef with American Cheese in a crock pot (or over medium/low heat on the stovetop). Tear the American cheese into small pieces. 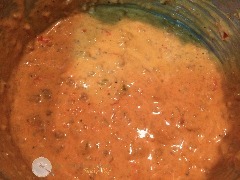 Stir in salsa. 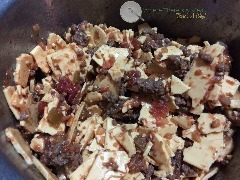 If cooking on the stove top: cook over low/medium heat until all the cheese has melted. Serve warm. If using a crockpot: cover on high heat until cheese has melted. Turn the heat down to warm to keep dip warm. It's Super Bowl week, aka, man week. Come Super Bowl Sunday all those New Year's Resolution's everyone was so excited about a month ago, seem to be but a distant memory in the presence of deep fried, beer battered, bacon wrapped goodness. But can't you enjoy your favorite man eats and still be clean? I believe so! I asked Joe to write down every treat he would like to eat this coming Sunday, and I would make a clean version of it. P.S. I think this is the most excited he has ever been about me writing this blog. 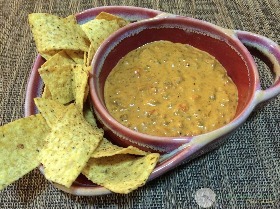 First up, beef and cheese dip. The score? Clean Eating: 1 Processed Junk: 0. Who says you can't enjoy your favorite Super Bowl treats and still eat clean? After all, where there's a meal, there's a way!